Book here for our free talk! 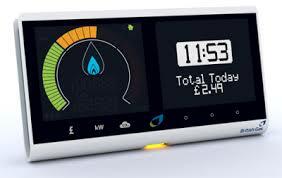 Over the next 5 years around 50 million smart meters will be rolled out across the UK, replacing the ‘dumb’ meters that have been in homes for years. Each home will also get an interactive home display, which will make their gas and electricity use visible. The hope is that this will enable householders to reduce their energy consumption. In this talk, MHSG Chair Cara Jenkinson will discuss the smart meter programme, what it will mean for individual householders, and what it could mean for the way that we buy energy in the future.